The most important thing that you need to do is have lists all around your house that will help you plan your expenses in a much more efficient way. Why? Well, how many times has it happened to you that you went grocery shopping without a list and you ended up buying a bunch of things you didn’t actually need? This is where you actually spend more money than you save, so it’s very important to stay true to the list that you’re about to have. You can also use the perks of living in the digital era and use your smartphone to help you plan your expenses and make lists of what you need to buy and how much you want to spend for a certain item – there are so many of them that you can download both in Australia and other parts of the world. Speaking of living in the digital era, make sure that you always have some of the best budgeting apps on your smartphone. The best apps that you can have are the ones that tell you how much money you spend on which category, so at the end of the month you will get the statistics of how much you spend on a certain thing – such as shopping, going out, eating, etc. This is always important to have by your side as it will help you plan your budget in a much more efficient way in the future. If you see that you spent more than planned on going out the previous month, you will most certainly cut it down a bit for the following one. You shouldn’t be scared to ask for help, especially since money tackling is a very delicate issue. First of all, you might want to ask for help from an older family member who has certain experience in these matters or is very good with money in general. Remember that you should always trust the people you will ask for help. Of course, there’s always the option of asking for the services of trusted tax consultants in Sydney or any other major city as they will help you plan your taxes, but also help you in the post-tax season follow up. This is a great idea if you’re an owner of a small business or you plan to become one. It’s always better to be safe than sorry, so paying a bit more to use the services of such professionals is always a great idea. How can planning your meals help you in planning your budget, you ask? Well, it’s not a secret that a bigger percentage of our monthly salary goes on the groceries or eating out. Planning your meals in advance can most definitely help you save a bit of money. This is why it’s always good to have a food journal where you will write your meals for the upcoming week, and then buy the groceries at least a week before that. A good idea would be to do this during the weekends, as you will have plenty of time to start your car and go to a supermarket that’s perhaps not very close to your home but where the prices are slightly lower than in the one that you go to. Not planning your meals in advance can also result in the constant ordering of food or buying pre-cooked options that are always pricier in the long run. Finally, you should always have an emergency fund. This might be easier said than done, especially if you don’t know how to save, but you find a plethora of tips online on how to save at least a bit every month. Make sure to allocate a certain amount of money that you will put aside every day and consider it spent. Never take anything from the emergency fund unless it’s really an emergency. Another way you can do this is by taking 10% or 20% off your monthly salary and putting it in the emergency fund. At the end of the day, all of these tips are important. 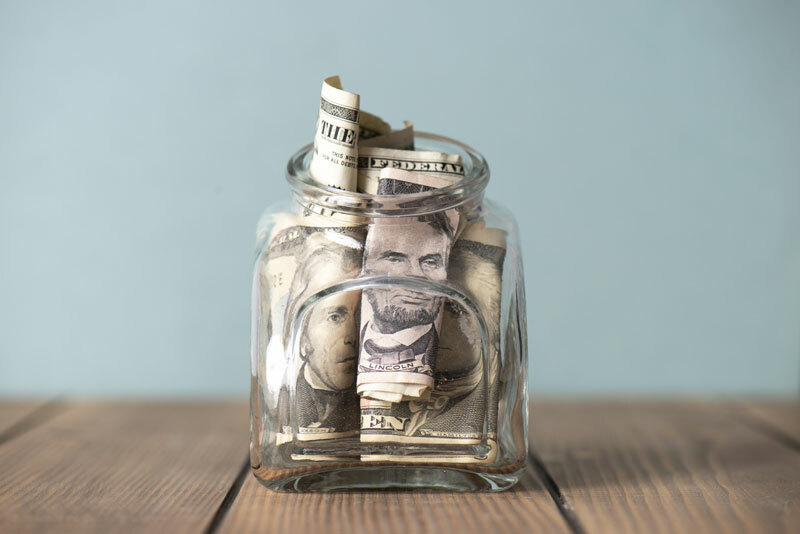 Not only will they help you organize the money you spend and save in the best possible way, but they can also save your life in the long run, especially if you’re not careful with money. Good luck!